Cyndie took me shopping for a new recliner and we came home with a new perch to kick back in while watching the fire. Guess what I did every chance I got for the rest of the weekend? It amounted to about 15 minutes total, but that was because I had a lunch date in St. Paul on Saturday, company for dinner in the evening, and was outside most of yesterday’s Second Sunday toiling in the nice sunshine, while Cyndie was hosting my niece, Liz, and three of her kids in an extravaganza of collage making and cookie baking. I was able to join them in the labyrinth for a quick circuit while the kids covered about twice my distance after they had visited with the horses and chickens. 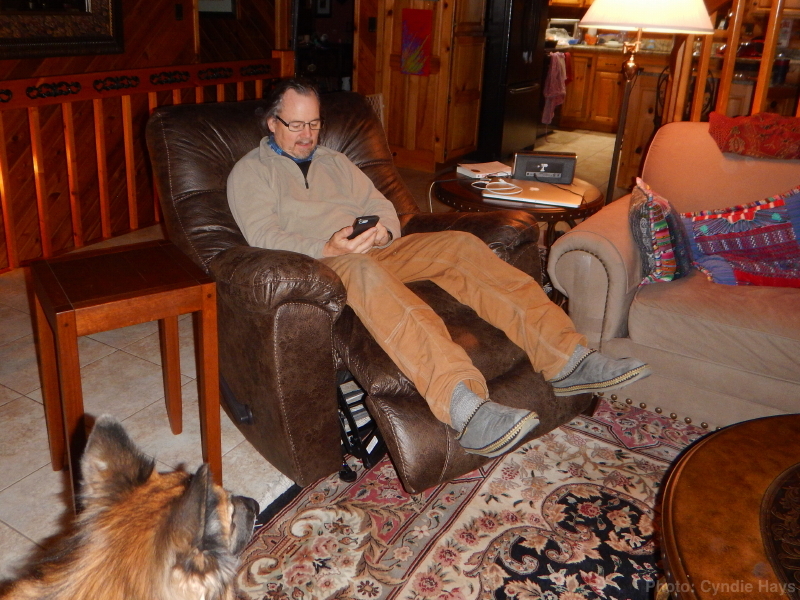 Time in the cozy new chair will come in the long nights ahead with winter precipitation sure to fall. In the mean time, I’ll need to make sure we have enough firewood.